Adorable home with country views. Front porch with scenic views of farm land. 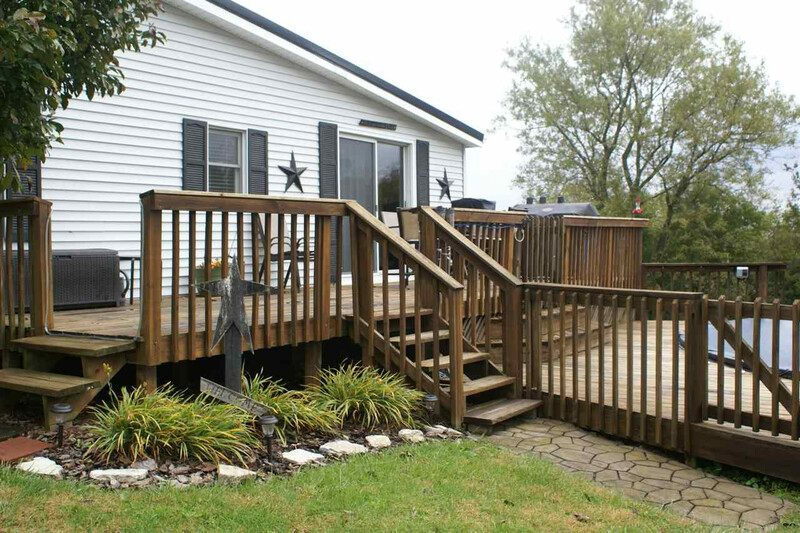 Nice deck on side with a pool that has a new liner etc. Detached garage for extra storage, boat, or your vehicle. Has a walk-in area under house for access to plumbing, water heater, good space for storage or a storm shelter.